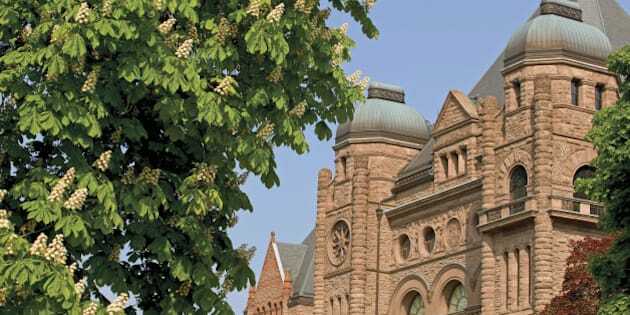 A former office employee for an Ontario member of the provincial parliament says that her job was replaced with an unpaid internship and is filing a complaint with the Ministry of Labour. Samantha Bokma, a student at Laurentian University, worked as a constituency assistant in Barrie for local Progressive Conservative MPP Rod Jackson. The job involved "general office upkeep, answering phones, emails," Bokma told CBC News. Her contract was set to expire on Aug. 30, but Bokma said she expected her paid work to lead to a part-time job in the fall. Instead, on Aug. 20 Bokma was told that her contract wouldn’t be extended. The next day, she turned in her letter of resignation, explaining that she needed the extra week to secure a new job elsewhere before her classes started. A week later, a posting for an unpaid internship at Jackson’s office was distributed on Laurentian University’s campus. Bokma said the responsibilities described in the posting — including reception duties, office administration, responding to constituents and organizing community outreach events — were tasks that she was responsible for as a paid employee. "This position provided me with much-needed funds to pay for my tuition fees at Laurentian University and it is concerning that this paid, entry-level position has now been replaced by an unpaid internship," Bokma writes in her complaint. The Ministry of Labour won’t comment on Bokma’s case, but says that it is investigating her complaint. Jackson, meanwhile, calls Bokma’s claims "patently untrue." He told CBC News that the fall part-time position Bokma was hoping for had been available in the past when his office was in Barrie, but no longer exists now that he is in Toronto. Jackson also said that the posting sent out by his office is for a volunteer, not an unpaid intern. "It’s a great opportunity for Laurentian University students to volunteer their time and learn the inner workings of government," he said. Issues around unpaid internships have garnered attention recently. Last week, CBC News reported on the sudden death of a 22-year-old Alberta practicum student, Andy Ferguson, who crashed while driving home after working long hours in November 2011. In June, Bell was accused of breaking labour laws by not paying its interns. Ontario Minister of Labour Yasir Naqvi said that unpaid internships are restricted in the province. "They fall under the employment standards act unless … they happen to be a volunteer or co-op student or are training," he said, adding that he recently reminded MPPs of the rules regarding internships. A spokesman for the Canadian Federation of Students, an organization that Bokma is involved with, said politicians should set an example for other employers. "They do need to set the standards … and say if you’re coming to work for us, you’re going to get paid," said Alistair Woods.